With 114 miles of navigatable water, boats of every kind grace the Martin County waterways…from private 100 foot yachts to large sport fishing boats, recreational speedboats or skinny flats boats. 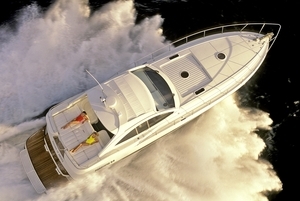 On a professional level, numerous marine and boat industries dot the map with prestigious names such as Whiticar, Jim Smith, American Custom Yachts, Garlington Landeweer and Hinckley creating a haven for boating enthusiasts of all kinds. The Chapman School of Seamanship, a well known school of nautical arts, offers training for students of all ages in areas such as navigation, seamanship, boat handling in power and sail as well as nautical information for the pursuit of a career as a captain or crew. 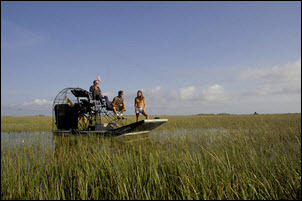 Throughout the Martin County area, plentiful waterways create a way of life. Abundant flats and plentiful shorelines allow the popular flats boat to be a favorite among locals offering the ability to sneak up on plentiful snook luring in the mangroves. 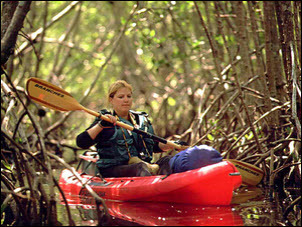 Kayaking (both inshore and offshore) has also become a favorite pastime with parks, rivers and waterways to suit every kayaking style. Canoes are available for rent in many of the parks for a lazy afternoon of nature watching. 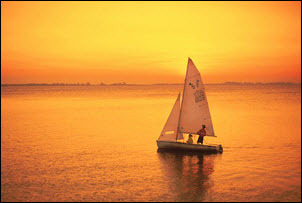 Sailing is another popular sport with a convenient sailing center located on the Indian River Lagoon and a large harborage in downtown Stuart. Full service marinas and day docking at local parks provide amenities needed to create a fun day of boating or a lifetime of enjoyment. 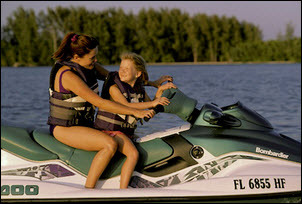 And with the Bahamas only 50 miles away, the Treasure Coast provides every boater an unparalleled paradise.